By the time our daughter was born, it was obvious that our little garden apartment could no longer contain us. We’d shoved her crib into her big brother’s room, and wedged her changing table in a corner next the closet (the door of which could no longer enjoyed its full range of motion). Her dresser was in the kitchen. We were bursting at the seams. So, after scraping together every nickel and cashing out our paltry investments (like our 75-cents worth of Disney stock), we managed to buy our first house in the suburbs. In Westchester County, no less (the Shangri-La of suburban New York State). There were, however, some weird moments during those early days. Homeowner. Such a glorious word! It stirred up such a sense of security, such pride. But it was still so new, it hadn’t fully sunk in. Finally, it was move-in day and I began unpacking. Some of our toiletries were too tall to fit in the medicine cabinet, so I set them aside and considered buying a bathroom storage piece of some sort. Two days later (two! ), it occurred to me that I was allowed to adjust the medicine cabinet shelves because I owned that medicine cabinet and the wall it was attached to, and every other wall surrounding it. But it was hard to resist. I was feeling so high, so grand! I’d always dreamt of owning; I watched all those “interior design on a dime” shows, I read Martha Stewart Living magazine, and I kept a scrapbook of paint colors and garden layouts… Oh, we hadn’t just bought a house. We bought a dream. And we were the perfect American family: Mommy, Daddy, Son and Daughter. Now all we needed was a dog and a second car. A minivan! But those things would have to wait, since we’d sunk our last sou into our new abode. At some point, I pulled myself together and came to my senses. It might have been on that third day after moving in when my husband took a bedtime bath. In the morning, we discovered that the tub leaked. Water poured through a light fixture in the kitchen, collapsing part of the freshly painted ceiling onto the newly refinished floor. Or maybe it was around Christmas when a chimney sweep called, claiming to have worked for the previous owner. Since this was my first rodeo, I let him come and he scammed me out of $1200. Or it could have been the time the skylights sprung a leak turning my family room into a tropical rainforest, soaking our brand new furniture. Ah yes, homeownership is a dream many of us aspire to. But only the strong survive when the shizzle gets real. All in all, that house was very good to us. We stayed there for six years and, through all of it, I was so happy. Some nights I’d stand out front gazing at it; its forest green shutters and bright white cedar shakes, the house number plaque I’d custom ordered from LL Bean, light streaming through the gauzy curtains of our dining room… On those nights, I wished my arms were long enough to wrap around and hug it, for it wasn’t just our house. It was our home. 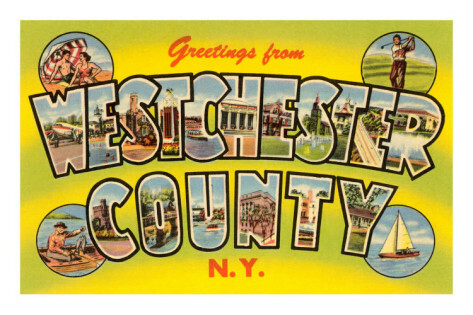 This entry was posted in Humor, Longform, Narrative, Podcast, Uncategorized and tagged Homeownership, New Home, Westchester County by Anita Rosner. Bookmark the permalink.